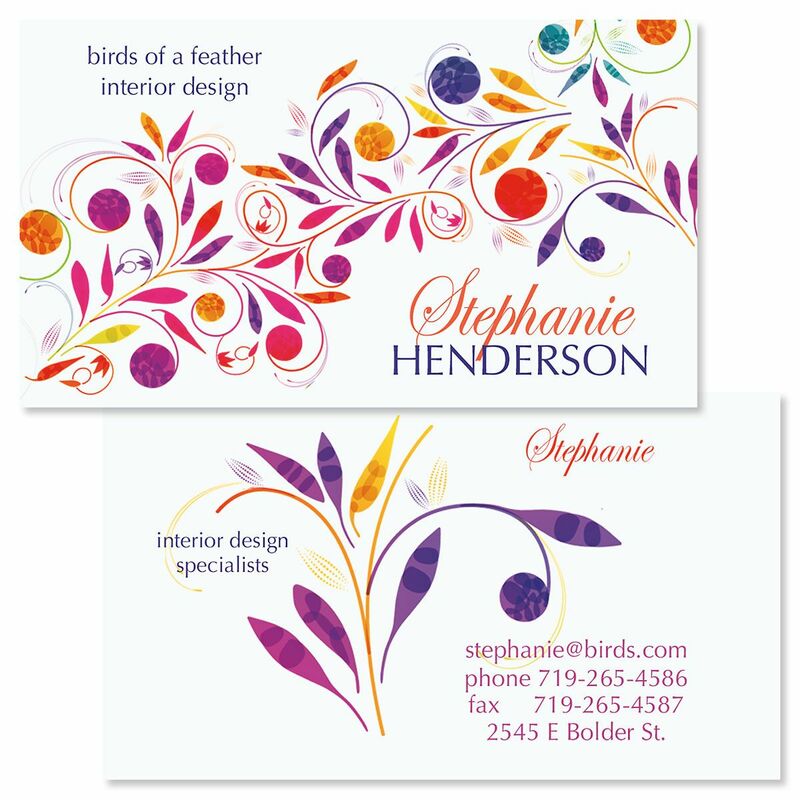 Nestled in leaves and swirls of brilliant warm colors, your name and information is unforgettable! Each double-sided card measures 2" x 3-1/2"; you receive 250 business/calling cards per single-design set. We'll print them on the front and back with the personalization you specify. Printing will be in the colors and styles shown — a custom-designed look at a fraction of the cost of custom printing.